Located on Thailand’s eastern Gulf coast, Pattaya is a renowned Thai city. The city is known for its glittering nightlife. Pattaya is considered as a dream destination for bachelors. So, if you are looking for the best place in Southeast Asia for hanging around with your friend, then you must consider Pattaya. In case if you are planning a family trip with your kids, even then you can consider this city. Overall it is fair to conclude that the city has many tourist attractions that will delight tourists with different interests. Choosing Pattaya for your next trip is easy but deciding where to visit in Pattaya can be really difficult. The job will become even harder for you if you are planning your Thai trip only for few days. However, in this post, we will address this issue and help you to pick the best tourist attractions. So, continue reading to know about the three best places that you should consider visiting during your Thai trip. If you are in Thailand with your friends and if you want to enjoy the glittering nightlife of Pattaya, then Walking Street is the first place where you should visit. This is the biggest party hotspot in Thailand as well as in entire Southeast Asia. So, visit Walking Street first and experience the exciting nightlife of Thailand. This tropical garden and cultural village is just perfect for you if you are in Pattaya with your family. Your kids will love this place for sure. 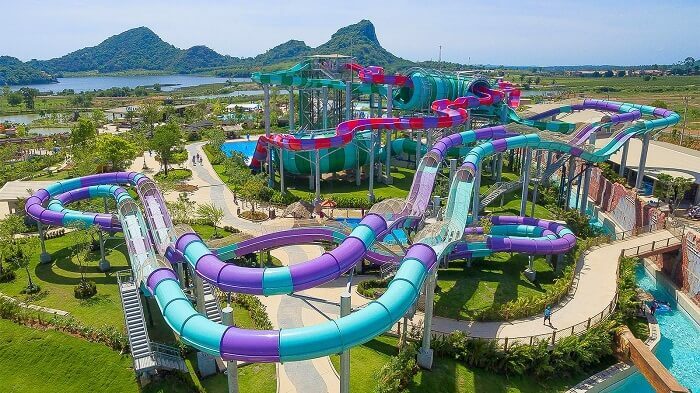 The entire area is a theme park where you can enjoy cultural shows, hang around in themed gardens, and enjoy authentic Thai foods in local restaurants. So, overall it is fair to conclude that you can conduct an all-day trip in Nong Nooch Tropical Garden. In this park, you will be able to explore different types of gardens including 7th-century French garden, European Renaissance garden, Stonehenge etc. Covering an area of around 100,000 square meters, the floating market of Pattaya is separated into four sections. This is the main reason why the market is officially known a Four Regions Floating Market. This 350 million baht market is comprised of 114 shops. From local Thai foods to fruits and souvenir, you will get there whatever you need. You can also rent a man-powered boat to explore the entire market. These boats are big enough for four or more people. For a small remuneration, you can rent them for thirty minutes. So, these are the top three tourist attractions that you need to consider visiting in Pattaya. If you want to make the most of your Thai trip, then you can also consider getting an ink tattoo in Pattaya. It will help you to make your Thai trip memorable. So, this is all for now. Hope the post was helpful and you have enjoyed reading it. If you want to know anything regarding the destinations discussed today then, feel free to use the comment box below.